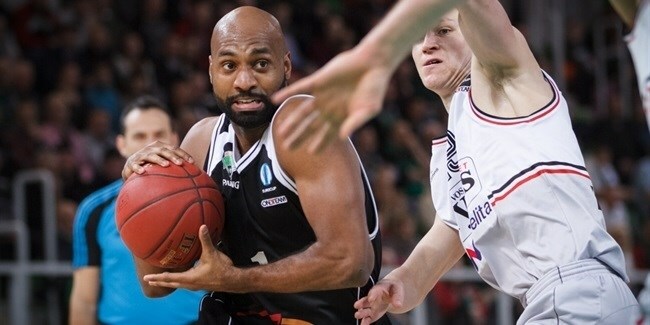 On Friday morning, PGE Turow Zgorzelec announced the arrival of forward Mardy Collins for the season, to fill in for Christian Eyenga, who has been waived by the club. Collins (1.98 meters, 30 years old) arrives from Olympiacos Piraeus, where he came off the bench in 14 Turkish Airlines Euroleague games averaging 2.1 points, 1.6 rebounds and 1.1 assists in over 8 minutes, helping the Reds reach the Playoffs against Real Madrid. He had started the season in Italy with Montegranaro. Collins played with the New York Knicks from 2006 to 2008 after playing college ball in Temple. He also played with the Los Angeles Clippers but also played in other countries like Turkey, China, Israel or Venezuela.